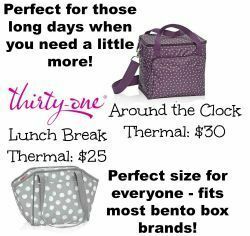 When I'm stumped for ideas, I often turn to my bento accessories for inspiration! I just got a load of fun Rilakkuma and Korilakkuma items, so decided to give them a whirl! 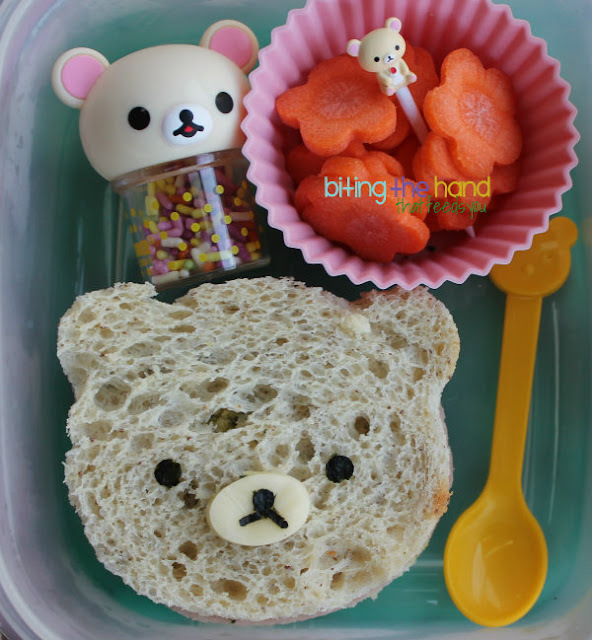 Since the bread was so pale, I decided the sandwich looked more like Korilakkuma, so chose accordingly. 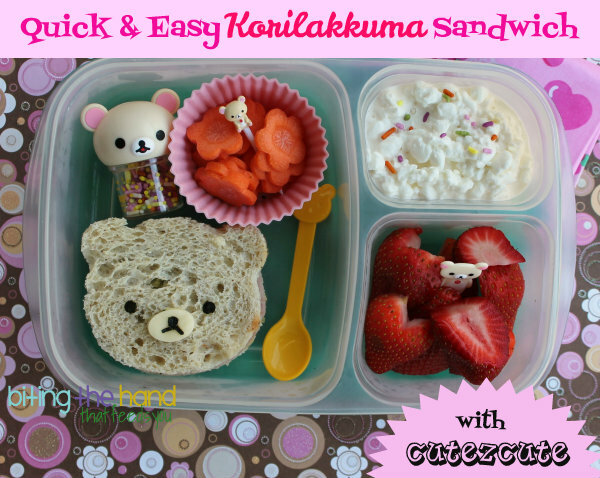 Lunch contains: India Tree natural colored sprinkles, organic carrots cut with flower veggie cutter, uncured ham and cheese with mustard sandwich on Udi's Gluten-Free bread, organic cottage cheese with more sprinkles, and organic strawberries with a flat Korilakkuma pick. 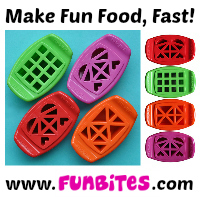 To make the sandwich, I used my CuteZCute cutter set head to shape the bread and fillings. You can use the panda cutter eye to make a snout, but I just used a slice off an organic string cheese. I used a winky eye nori punch and cut two lines off to form the mouth, and a round eye nori punch for the eyes and nose. Had I been thinking, I would have cut ham ears with the panda ear cutter, but I recall deciding I didn't care and it was time for bed! 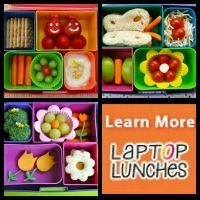 allthingsforsale.com will be carrying San-X products soon! I had to have a friend find these and ship them to me from Japan! Or you could pay through the nose on eBay. I recommend waiting for ATFS to get their first shipment up online! That is the cutest container ever! 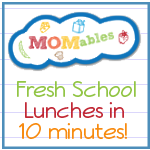 I adore everything about this lunch - so simple, yet so cute and inviting. Fantastic job! Awww...this is way too cute! Love it!